Marlow Yachts Limited, Inc. is pleased to announce that it was awarded the 2014 AIM Editors Choice Awards for our Marlow Explorer 62E in the 60-69’ Long Range Cruiser category. The AIM Marine Group magazines include Power and Motoryacht, Sail, Soundings, Yachts International, PassageMaker, BoatQuest.com and Soundings Trade Only. This award was presented to and accepted by David Marlow, Chairman, and Michael Cannova, President of Marlow Yachts at the Tranquilo Hotel on October 31 during the 2014 Ft. Lauderdale Boat Show. 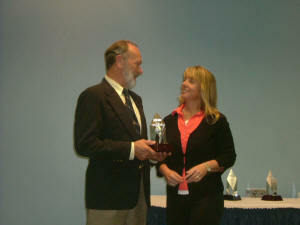 “It is truly an honor to be presented with this award for our boatbuilding achievement” said David. Marlow Explorers are built at our environmentally green factory in Xiamen, China. As each vessel is completed at the factory, she undergoes rigorous quality controls to assure all performance, seaworthiness, and value is to the highest Marlow standards. Each vessel is manned by our top factory personnel and sea trialed over 100 miles on the China Sea to the Xiamen Port. Our capable team stays with the yacht to monitor the load and stow on the mother ship to ensure a safe travel to the USA. Marlow Yachts LTD was awarded the AIM Marine Group 2012 Editor’s Choice Awards for the 80’-100’ Passagemaker category for its Marlow Explorer 97E during a gala event at the W Hotel in Ft. Lauderdale on October 26, 2012. 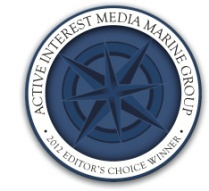 The Active Interest Media Marine Group (AIM) is comprised of Yachts International, Boat Quest.com, Passagemaker, Soundings, Trade Only, Sail, Power and Motoryacht, and Show Management publications and affiliates. As a premier boat builder, Marlow Yachts was honored for their innovation, technology, and contribution to the Marine Industry. We are truly honored to have been selected to receive this ‘best of the best’ award. Marlow Yachts enjoy the highest rating available under CE Ocean Class yachts but also feature “unrestricted navigation” certificates issued by Bureau VERITAS. No other yacht in her class has attained these certified levels of safety at sea. Approved by Bureau VERITAS, Lloyds, United States Coast Guard, ABYC, NMMA, and other governing bodies worldwide. Marlow-Norsemen was presented the award for "Green" Maritime Company of the Year with Michael Huang accepting the award for the company. 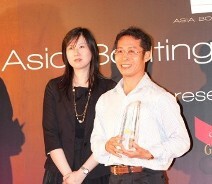 The 2010 Asia Boating Awards ceremony was a lavish affair held in Hong Kong at the Gold Coast Yacht and Country Club in early May. The event coincided with the Hong Kong Coast Boat Show and was one of the highlights of the three day show. The Asia Boating Awards is widely known as the region's first and premier event for recognizing the efforts of boat builders, marinas, clubs and individuals in creating a diverse and exciting boating community in Asia. It has also become a must-attend event for Asia's jet set. "This is the chance for Asia to celebrate its achievements, and a great opportunity for Asian-based yacht builders to be recognized world-wide," said Ryan Swift, editor-in-chief of Asia-Pacific Boating ( a premier yacht magazine featuring Asian yachting). 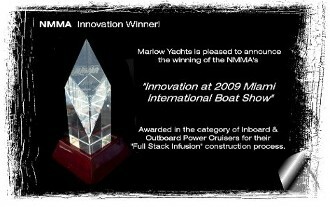 Marlow Yachts was honored to accept this award at the 2009 Miami International Boat Show. 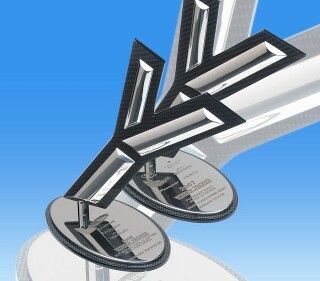 We were awarded for our “Full Stack Infusion ©” construction process. This proprietary process produces a near perfect laminate providing for a more open interior with greater structural strength. This combination of benefits results in dramatic weight savings with increased hull performance and efficiency. Marlow Yachts is pleased to announce the winning of the prestigious World Trophy Award presented by LuxMedia Group. 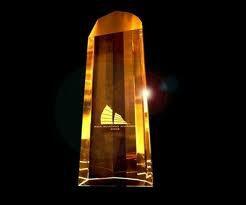 For the second year consecutively, Marlow Yachts has won the World Yacht Trophy for Most Functional Design Award. 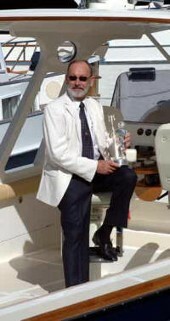 The 2008 Award is in the category of fly bridge yachts over 24 meters. The ground-breaking Marlow Explorer 86CMY was the choice of the judges this year. The landmark Hull #100 Explorer continues the design tradition the Marlow Explorer Series of yachts all share. Functional layout and clean lines are hallmarks of all Explorer yachts. Along with these award winning attributes are the additional attributes of world class craftsmanship and seaworthiness. 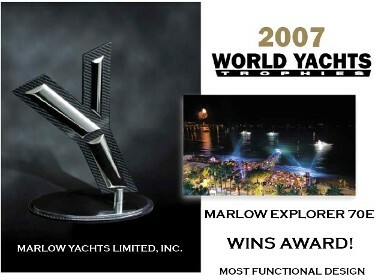 Marlow Yachts Limited, Inc., was awarded the 2007 World Yacht Trophy Award in the category of Most Functional Design for a yacht under 24 meters for the Marlow Explorer 70E, by the Lux Media Group, September 15, 2007, at a gala dinner during the Cannes Boat Show in France. David Marlow, Chairman of Marlow Yachts Ltd., graciously accepted this prestigious Award, and thanked the panel of judges for recognizing the level of effort and dedication the company has invested in design. Marlow Explorer Yachts are certified by Lloyds Register and ISO 9001, a status enjoyed by less than a handful of pleasure powerboat manufacturers worldwide and they are the first manufacturing company in China to receive this level of certification. Marlow Yachts is pleased to announce that we have joined the company of world select boat builders in achieving Bureau VERITAS unrestricted navigation. This is an honor held by less than 1% of yacht builders worldwide. Lloyd’s Register Quality Assurance is one of the world’s foremost management system certification, business assurance and training organizations. Established in 1985 by the internationally renowned Lloyd’s Register, LRQA pioneered the modern day principles of quality assurance, and is now acknowledged worldwide for reliability, integrity and innovation. Certification gives interested parties an assurance that management intent, defined in the documented management systems, is supported by evidence of the way work is actually performed. Marlow Yachts is committed to minimizing harmful effects on the environment caused by its activities and strives to achieve continual improvement of its environmental performance. To this end Marlow Yachts is currently under testing and type approval for the prestigious ISO 14001 category certification to augment and certify its commitment to quality manufacturing in and environmentally respectful manner. ISO14001 certifies that the manufacturer has implemented full environmental controls on every segment of the manufacturing process from purchasing through receipt and final use of the products involved. ISO14001 further insures that the manufacturer has implemented a plan for proper disposal of non recyclable materials with proper storage and handling of byproducts intended for recycling. This lofty standard requires that the manufacturer design and place emergency procedures for full containment of accidental spills or discharges. The American Boat & Yacht Council, ABYC, was created in 1954 as a non-profit organization to develop safety standards for the design, construction, equipage, repair and maintenance of boats of less than 150 feet. The mission of ABYC is to improve boating safety and reduce the number of injuries and fatalities. As a consequence of the continuing success of this mission, ABYC has evolved into a viable alternative to mandatory government regulation of the marine industry. Marlow Yachts is a certified NMMA, National Marine Manufacturers Association, yacht builder. The NMMA Boat & Yacht Certification helps manufacturers ensure their boats are built to applicable standards set by the American Boats & Yacht Council (ABYC), and to inform the public of such compliance. The program requires boat manufacturers to submit applications for all models, and to undergo a physical inspection by an NMMA inspector annually. To achieve Certification, a manufacturer must demonstrate that all variances found during the inspection have been corrected. The manufacturer is responsible for ensuring that all production units are manufactured in compliance with the certified design. Program participants must certify all recreational models (except racing craft) marketed in the U.S.A. for non-commercial use. Marlow is proud to be a pioneer in responsible manufacturing on a global basis.